The professionals at Lazarus Alliance are completely committed to you and your business’ ISO 27000 Audit (27001, 27002 and 27005) success. Regardless of whether you represent the private sector or the public sector, we stand ready to partner with your organizations. Our competition may want to keep you and your employees in the dark where security, risk, privacy and governance are concerned hoping to conceal their methodology and expertise. We don’t prescribe to that philosophy. We believe the best approach is transparent and built on a partnership developed on trust and credibility creating sustainability within your organization. Lazarus Alliance’s primary purpose is to help organizations attain, maintain, and demonstrate compliance and information security excellence – in any jurisdiction. Lazarus Alliance specializes in IT security, risk, privacy, governance, cyberspace law and ISO 27000 Audit (27001, 27002 and 27005) compliance leadership solutions and is fully dedicated to global success in these disciplines. We can help your organization too! Our client’s come from all business sectors across the world. Once a company has made the decision to enlist a third party to provide a service, they want assurances that those services will be provided timely, accurately, and securely. A ISO 27000 audit (27001, 27002, or 27005) shows your commitment to maintaining a sound control environment that protects your client’s data and confidential information. You will immediately appreciate the Lazarus Alliance Proactive Cyber Security™ ISO sustainable audit methodology. The ISO 27000 Audit (27001, 27002 and 27005) provides a model for the full life-cycle of an Information Security Management System (ISMS). The design and implementation of the ISMS is driven by the organization’s needs and objectives, security requirements, processes employed and its’ composition. Lazarus Alliance’s ISO can provide an early stage gap analysis to determine what pieces of your ISMS are in place or what pieces are missing before you move forward to an informal pre-assessment or to the formal certification audit. The gap analysis is ideal for organizations who are in the process of finalizing their ISMS. 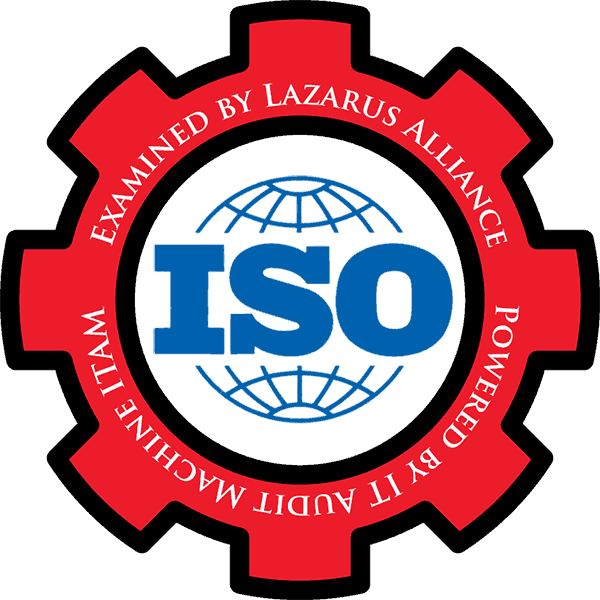 Lazarus Alliance’s ISO can provide a review of your ISMS and its operation essentially as a preview for the future audit. As part of this work, Lazarus Alliance will do a document review and interview employees and other key constituents. The pre-assessment’s objective is to seek the degree of conformance of your system to the ISO standard and provide a readiness level for the actual certification audit. Differentiate yourself from your competitors by providing independent verification that your information security management system has met the requirements of this globally-recognized information security standard. Certificates issued are valid for a three-year term, during which time observation audits and certification maintenance is periodically performed. Lazarus Alliance assessors conduct brief onsite reviews to ascertain if any material changes have been made to the ISMS as well as perform limited testing. Lazarus Alliance’s ISO 27000 Audit (27001, 27002 and 27005) process initially takes just a few weeks from start to completion to baseline your organization depending on your team’s availability. The actual time to completion is typically well over six months following the conclusion of the performance period. We are cognizant that our clients have full time, everyday obligations in addition to dealing with auditors so we are flexible to your needs and work around your schedule to provide a quality audit and report in the time frame you desire. A significant differentiator you will immediately appreciate is our Proactive Cyber Security™ ISO 27000 Audit (27001, 27002 and 27005) methodology which take a continuous audit approach rather than the end of reporting period Audit Anarchy approach by other firms. We will also utilize our proprietary IT Audit Machine technology to set you up for success. The IT Audit Machine is a full-featured and highly collaborative assessment and reporting tool only available from Lazarus Alliance. You will enjoy a reduction of expense on additional compliance efforts your organization may undertake. Common processes, procedures and controls implemented as part of ISO 27001, 27002 and 27005 conformance that would be leveraged for other compliance efforts such as SSAE 16 (SOC 1, SOC 2, SOC 3), PCI DSS, HIPAA, and Sarbanes-Oxley (SOX). Lazarus Alliance creates sustainable ISO 27000 Audit (27001, 27002 and 27005) partnerships with our clients. We have a proven methodology and project plan that helps our clients achieve compliance on budget and on schedule. You will come to appreciate our Service, Integrity and Reliability which will be apparent to you from the very first call. Leveraging the Continuum GRC IT Audit Machine, Security Trifecta methodology and the Policy Machine, Lazarus Alliance provides international standards that are recognized as “Best Practices” for developing organizational security standards and controls that support ISO 27000 Audit (27001, 27002 and 27005) certifications. We want to be your partner and ISO 27000 audit (27001, 27002 and 27005) assessor of choice! For additional information please contact us using the form to the right or calling 1-888-896-7580.